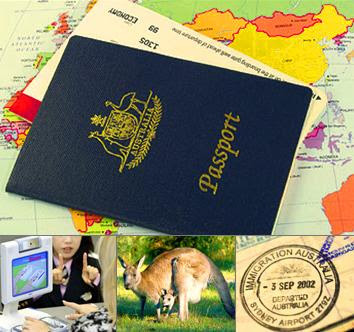 Health Related Requirement for Australian Visa Holders | Go For Visa | Australia Immigration Consultant & Visa Experts in India. Along with UK and US, Australia is considered as one of the preferred destinations in the world for education. You will not only find some top class education institutions but will get mesmerized by the life style of people in Australia. Visit any state of the nation and you will find each state having its own college, university and TAFE options with stunning scenery, affordable housing and cozy way of life. In case you fall seek in Australia, it could take thousands of dollars from you to cure yourself. Sometimes, even a single day stay in hospital may cost you hundreds of dollars which are difficult to pay at the level when you are hardly earning anything. The reason why private health insurance needed is because student visa doesn’t offer any public health care to individual. So, the only way a student can cover himself under health insurance is by opting for private health insurance policy. There are three basic steps you can follow to secure right Overseas Student Health Cover before on your way to studying in Australia. Research is first and foremost important step in which you have to gather loads of information from various online student visa related sites such as www.goforvisa.com. The next step involved recognizing your health insurance and visa requirement. You can talk with your visa advisor regarding this to figure out the best possible alternative. The final step involves purchasing the right visa product. Once you have figured out what are your priorities and a visa policy to suit those priorities then you can go for the final purchase. If you want to take some expert opinion on health insurance as well as visa guidelines in Australia then ‘Go for visa’ will provide you a helping hand. It is extremely easy to get your visa application approved when you submit your health insurance documents before time. Your visa can’t be processed further, if you fail to submit right documents at right time. So talk with www.goforvisa.com about health insurance and visa requirements. In case you have any further questions, don’t hesitate to get in touch with us at info@goforvisa.com.